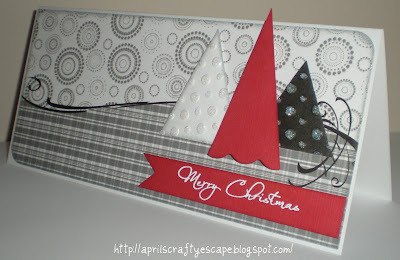 Welcome to challenge #69 here at Penny's Paper-Crafty Challenge Blog. Thank you to everyone that played along with us for our "Merry Christmas" Challenge #68. We had some AMAZING entries!! Please go to the post below to see who Mr. Random has chosen as our Featured Artist!! Before I get on to this weeks challenge, it is with regret that I tell you that we are loosing one of our DT Members. This will be Darlene's last challenge with us. Darlene has been with this challenge blog for a long time, she was here when I took it over and I sure do hate to see her go. Her husband will be retiring soon and she is trying to cut back on some of her DT duties and I can't say that I blame her. But we do wish her well and we will miss her dearly! With that being said, we are currently looking for a new DT member (or 2)!! If you are interested please put the letters DT on your entry to the current challenge. Well, ready or not Christmas is here. Are you ready?? I sure am NOT!! So, to help you along, our challenge this time around is "HOLIDAY GIFTS"!! So what are you waiting for, let's get craftin'!! This week... for our "HOLIDAY GIFTS" Challenge our sponsor is DigiDarla!! Please remember to use the Linky Tool and when adding a link, add the link to your project, not the link to your entire blog. You have TWO WEEKS to submit an entry! If you're using a photo gallery instead of a blog please use this weeks tag: "PC69, blog users can just use the tag "Penny's Challenges #69". 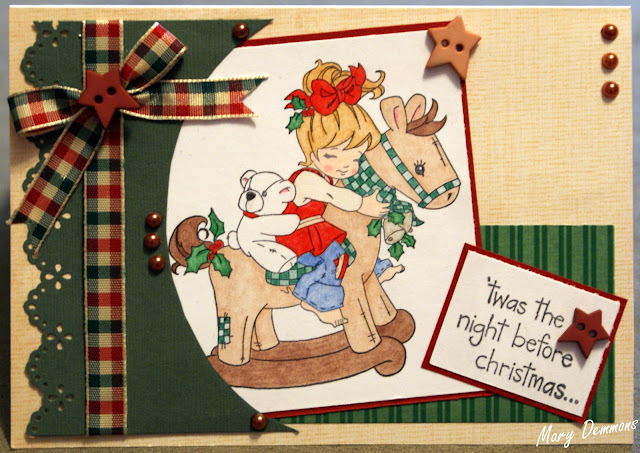 Indira is our 1st featured artist for challenge #68, "Merry Christmas"! And the winner of a $10 USD Gift Certificate from Digi My World!! Congratulations Indira! Please email me at kallee.ko.bowtique [at] gmail [dot] com and I will forward your information along! 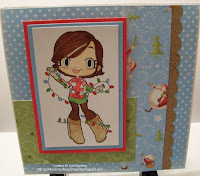 April is our 2nd featured artist for challenge #68, "Merry Christmas"! And the winner of 3 digi's of her choice from Some Odd Girl!! Congratulations April! Please email me at kallee.ko.bowtique [at] gmail [dot] com and I will forward your information along! 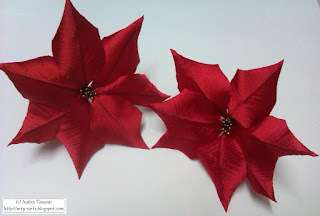 Welcome to challenge #68 here at Penny's Paper-Crafty Challenge Blog. Thank you to everyone that played along with us for our "Tie One On" Challenge #67. We had some AMAZING entries. I am always overwhelmed at the amount of talent out there!! Please go to the post below to see who Mr. Random has chosen as our Featured Artist!! So, onto the challenge...Can you believe that Christmas is just around the corner?? Is it just me, or does it seem like this year has just FLOWN by?? And I still have so much left to do for Christmas!! Well, if you haven't figured it out by now, our challenge this time around is "MERRY CHRISTMAS"!!! Well, what are you waiting for, let's get craftin'!! This week... for our ""MERRY CHRISTMAS"" Challenge, we are lucky enough to have not 1, but 2 sponsors!! 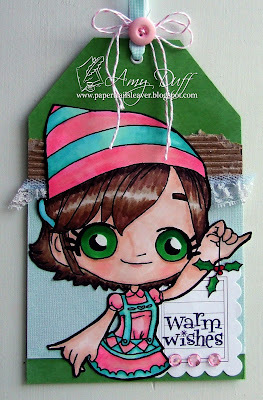 First, I would like to introduce you to our Guest Designer for this week, Kathleen! Be sure to check out her blog Creo by Lady Katutz, she has some amazing work there! Kathleen has used Cold Kaylee from Some Odd Girl. Please remember to use the Linky Tool and when adding a link, add the link to your project, not the link to your entire blog. You have TWO WEEKS to submit an entry! If you're using a photo gallery instead of a blog please use this weeks tag: "PC68, blog users can just use the tag "Penny's Challenges #68". Mary is our featured artist for challenge #67, "Tie One On"! And the winner of a 5 digis of her choice from Stretch n' Bubbles! 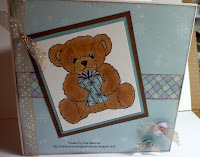 Welcome to challenge #67 here at Penny's Paper-Crafty Challenge Blog. Thank you to everyone that played along with us for our "Give Thanks" Challenge #66. We had some AMAZING entries!! Please go to the post below to see who Mr. Random has chosen as our Featured Artist!! As you know, during the last challenge we held a DT call. Please check back after the Thanksgiving Holiday to see who our new Team Member will be!! So, now on to the new Challenge. Did you know that November 23rd is National Tie One On Day?? When I saw this, I thought it would make for a cute theme. On the day before Thanksgiving, November 23rd this year, pause in the preparation of your own meal, wrap a loaf of bread or other baked good in an apron, tuck a prayer or note of encouragement in the pocket, and tie one on…an apron, of course! and deliver the wrapped bundle to someone without your bounty… a neighbor, friend or family member in need of physical or spiritual sustenance, a bit of recognition or just a kind word. National Tie One On Day™ is a win-win, for the participant and the receiver. By embracing National Tie One On Day™, you will make someone else’s day brighter. So, for this Challenge, we are asking you to "TIE ONE ON". You can enter whatever you like, just so long as you "TIE" something on it!! So, what are you waiting for, let's get craftin'!! That's right, one lucky random person will win 5 images of their choice from the Stretch n' Bubbles shop!! Please remember to use the Linky Tool and when adding a link, add the link to your project, not the link to your entire blog. You have TWO WEEKS to submit an entry! If you're using a photo gallery instead of a blog please use this weeks tag: "PC67, blog users can just use the tag "Penny's Challenges #67".